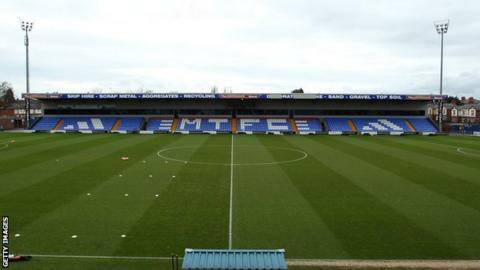 Macclesfield Town majority shareholder Amar Alkadhi says a technical issue with his bank caused a late payment to players and staff. The National League club issued an apology on Friday after January's salaries were not paid on time. The club said the delay was caused by a late payment from a third party. "I would like to offer an unreserved apology to players, fans, and the chairman for the delay in paying wages," Alkadhi said in a statement. The Silkmen, who slipped to second in the National League table with a 1-1 draw against Torquay, said on Friday that payment would be issued on Monday, 5 February. "A cash deficit was forecast in January and so it was budgeted for new funds to be transferred to the club to cover the shortfall, which I had agreed to," Alkadhi added. "Put simply, I didn't do my job properly for the club in January."